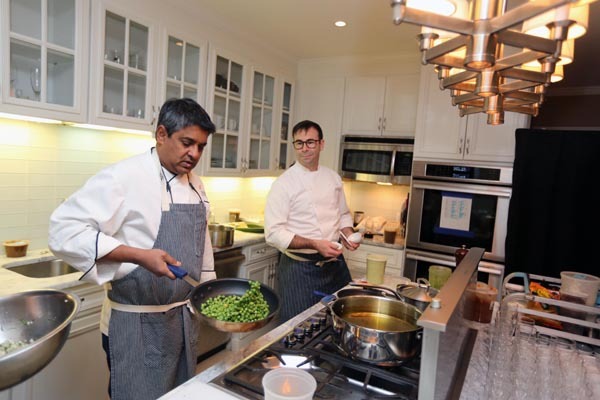 Chef Floyd Cardoz and Chef Robb Garceau prepare the meal. 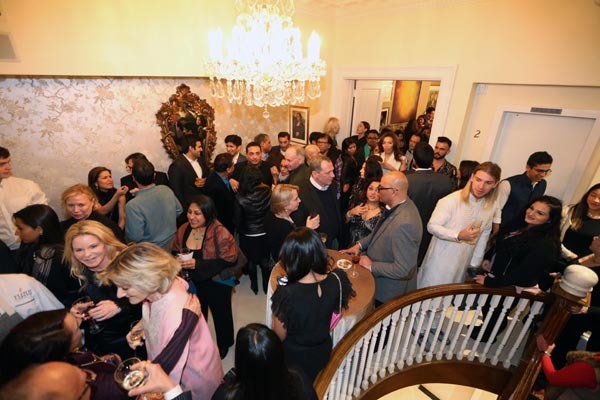 Jan 17, New York City:New York social entrepreneur and founder ofThe Giving Back Foundation, Meera Gandhi, hosted a private reception at her historic townhome (First Lady Eleanor Roosevelt’s former residence) for the launch of fashion brand MIRAI and for Indian fashion designers Abu Jani/Sandeep Khosla (the duo that recently designed the wedding dresses for Priyanka Chopra, Isha Ambani and have dressed celebrities like Beyonce, Cardi B, Deepika Padukone and Sonam Kapoor, just name a few).The event was attended by over 150 people with many well known guests in attendance including, Abhi Kothari of Amprapali Jewels, Amishi and Mickey Doshi, Caroline Leiberman, Vikas Khanna, Jaswant Lalwani,PaulNeuman and his wife Dr. Karen Binder-Brynes, Priya Kumar, Mr and Mrs Kamal Dandona, JD Lawrence, Amrita Singh and Sam Bhatia amongst others. 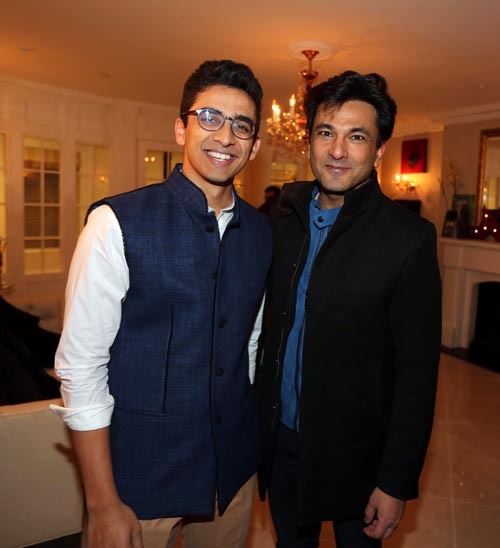 The event was catered by celebrity Chef Floyd Cardoz with his new catering partnership with acclaimed catering houseNeuman’sKitchen.Chef Cardoz is the season three winner ofTop Chef Masterswho first gained recognition as the Executive Chef for three of Danny Meyer’s Union Square Hospitality Group’s restaurants. 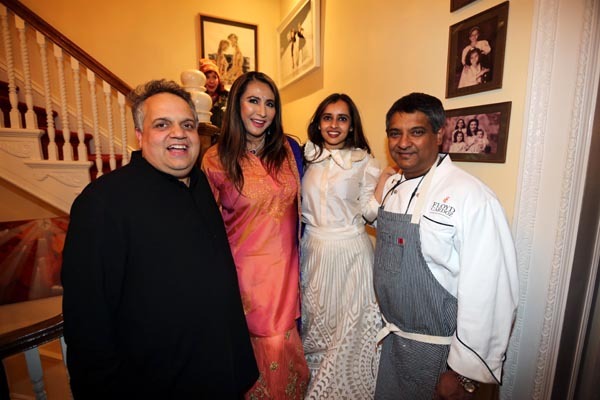 Guest dined on Indian street food presented in an unexpected and whimsical manner. 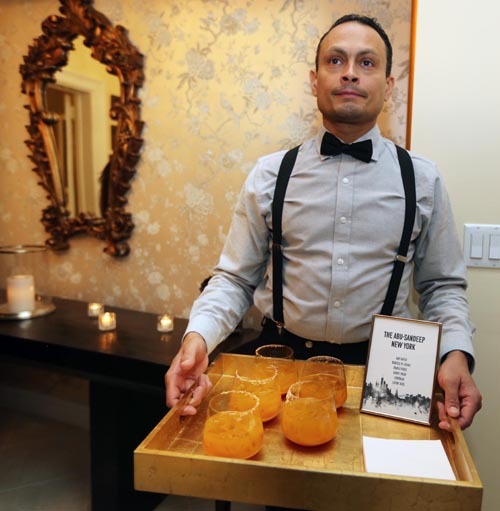 The Chef also created a specialty cocktail in honor of the designers called the Abu Sandeep New York, which was a hit amongst the designers and the guests.